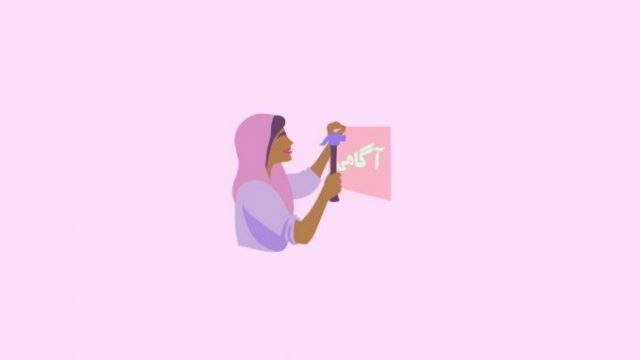 Oscar-winning filmmaker Sharmeen Obaid-Chinoy has launched a new public service campaign, ‘Aagahi’ that aims to educate women about their legal rights in Pakistan. 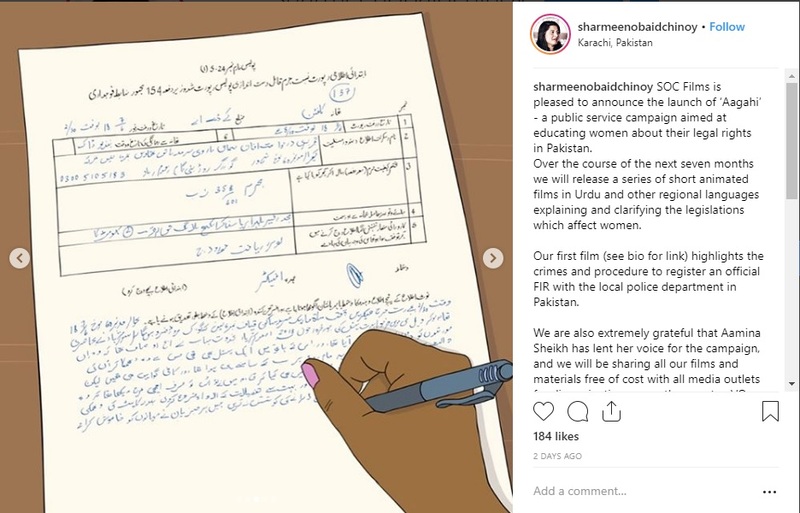 The filmmaker announced on social media that SOC Films will release a series of short animated movies in Urdu and other regional languages to explain the legislation that affects Pakistani women. The short animated clips will focus on issues such as domestic violence, cyber bullying and divorce, among others. Actress Aamina Sheikh has lent her voice for the campaign. The first short film, which was released on Sunday, sheds light on the procedure to register an official FIR with the police. The 2.33 minute clip focuses on the importance of registering a case with the police. The clip is in Urdu with English subtitles.